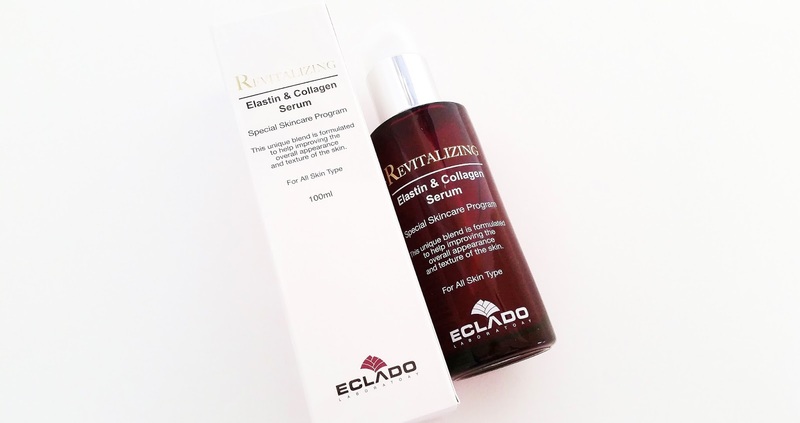 Product Description: A hydrating serum formulated with collagen and elastin to improve the skin's overall texture and appearance. It can repair damaged skin, provide ample amount of hydration, and improve aging skin's elasticity. This serum is good for all skin types. To Use: Cleanse the face and neck first. In your serum step, apply ample amount of the serum onto the face and neck. Massage gently and let it absorb before continuing with the rest of your skin care routine. Ingredients: Water, Glycerin , Hydrolyzed Collagen , Propylene Glycol, Alcohol, Biosaccharide Gum-1 , Panthenol , Hydrogenated Lecithin , Hydrolyzed Elastin, Dimethicone , Butylene Glycol , Glyceryl Polyacrylate , Natto Gum, Xanthan Gum, Acrylates/C10-30 Alkyl Acrylate Crosspolymer , Oleth-10 Phosphate, Potassium Hydroxide , Phenoxyethanol , DMDM Hydantoin, Fragrance. Packaging: As seen in the images above, the serum comes in a white box which has information about the product printed on it. The serum itself is stored in a beautiful red glass bottle with a pump. The pump also has a fitted lid as well. Scent: Light sweet scent. Fragrance has been added to the product. Color: The serum is colorless but looks a little cloudy as seen in the picture below. Texture: A lightweight serum that is easy to absorb and leaves a smooth finish. Helen's Thoughts: When it comes to products that needs long term use to see visible results, patience is key. After all, even the best skin care products needs time to deliver their best results. The amount of time it can take to see results can vary per person as everyone's skin type is different. For me, while the hydrating effects were there each time I applied the serum, it was the improving overall appearance and improving skin's elasticity that took longer to notice. I was well into my third week of twice-a-day use before I started to notice those effects. I did, in those three weeks, have moments of doubts but I am glad I waited through it as the results are worth the wait. To isolate this serum's effectiveness on its own and than to see its effectiveness combined with other anti-aging products, I decided to test it three ways. First, I switched out all of my anti-aging skin care products so that the only anti-aging related product in my routine was this serum and sometimes sheet masks. I tested this for six weeks. Then I took a two week break to see what would happen to my skin without it. 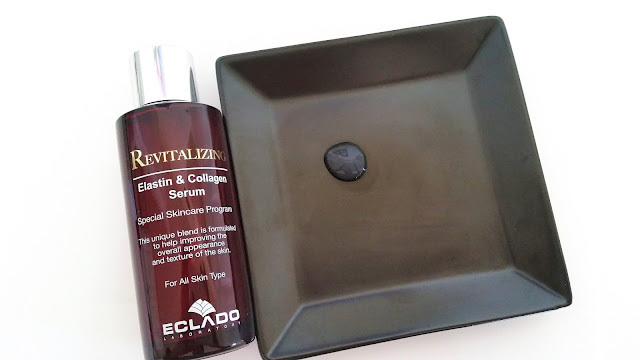 Finally, I reintroduced the anti-aging products I was previously using in my routine and added this serum back in to see the combined effectiveness of these products. The first skin care benefit that peeped through was the improvement of my overall appearance at three weeks in. 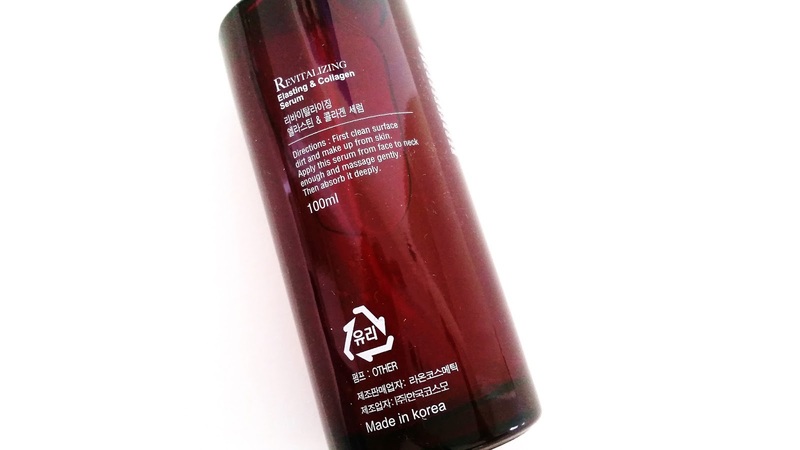 My skin became visibly smoother than before and it had a soft glow to boot. While it was not a dramatic change, it was enough for me to notice. Then came in the firmness. Again, not dramatic but the changes in my areas of decreased elasticity were noticeable. As I kept going, my skin felt more resilient and smoother. Plus the glow was still there. Six weeks went by fast and before I knew it, it was time to take a break from the product to see the effects without it. And as I suspected, I lost much of the elasticity, smooth texture and glow during those two weeks. I was happy when those two weeks ended as I can finally reintroduce my anti-aging products and add back in the Eclado Revitalizing Elastin & Collagen Serum. With all of my anti-aging products working together, the effectiveness were more noticeable and potent. My skin was back to the smooth texture, soft glow, and resilience in a little over two weeks and it continues to improve each day. Would I purchase it in the future? Most likely. 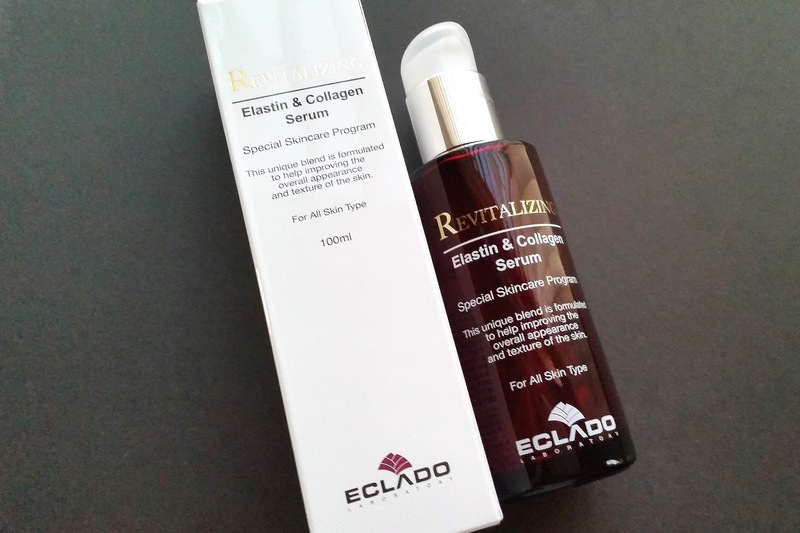 This serum has been a great addition to my current skin care routine as it has added to the anti-aging benefits the products in my routine provides. The 100ml bottle will last a long time as well. I am exploring the market for a more budget friendly version but I would be happy to buy another if I do not come across a comparable and cheaper version before I run out of my current one. Do I think this serum is worth a try? Yes, if you have the budget and are looking for these benefits. This is a great serum that does what it promises, so it is worth checking it out!